I finally broke down and watched ARK: Survival Evolved’s Extinction trailer. It’s not that I didn’t want to! On the contrary, I was very interested to get that glimpse; I just wanted to wait until we had even more info about it so I could really delve into it. But since that doesn’t seem to be coming about, I couldn’t hold out any longer. It is the conclusion of the multi-expansion story arc after all, and we’ve just gotten all excited about ARK’s story! After watching the trailer, my anticipation level inched up a few notches. The teaser hints at answers to some long-held questions, and I am excited to take on the all-new survival challenges. Helping to amp that enthusiasm up are the monthly Extinction-themed content drops: Say hello to some bionic dinos! (They even lay tek eggs!) Perhaps Extinction will be quite a grand finale. I definitely look forward to learning, and sharing, more as we learn about the expansion. All that said, there’s still that little bit of nagging disappointment at the lack of attention older maps get, especially the original game. Who knows though, perhaps once the final game is out and done the devs can turn some attention back to fixing those issues with the island. In video games, I never assume a humanoid is actually an Earthling. No, there are far too many interstellar and fantastical places that bipedal beings can originate from. That’s not to say we survivors in ARK are Earthlings, but there is very strong evidence for it. We might just be folks from elsewhere trying to trying to resettle. But thanks to the trailer, we do know that our story ends on Earth regardless if it began there or not. Warning: This paragraph contains a few mild spoilers. Click to reveal. I might have been more surprised about Extinction involving earth if I hadn’t seen the planet for myself while careening through space at the end of Survival Evolved. That image — way more than the holographic one inside the control center — was seared into my mind. And it elicited many questions, not the least of which were simply, What?! and Why…? So those questions as to what is going on and why that I’ve harbored since I first woke up on the island with an implant in my arm look to be answered with Extinction. At least I certainly hope they are! If not, I might seriously rage a bit. Earth as a backdrop also really intrigues me. We’ve had a number of post-apocalyptic environments, but the survival genre has been dominated by a couple of main themes: some horrific nuclear disaster creating an irradiated wasteland or plague outbreaks (helllooo zombies). This use of an apocalypse involves dinosaurs. Come on, how many of those have we had? ARK was fairly unique with the dinosaur survival concept in the beginning, and now it continues that uniqueness with a dinosaur apocalypse. I really want to find out how this came about. Was it some interstellar invasion? Is it simply futuristic? Is it Jurassic Park meets Independence Day? And look at all the new tek! There’s got to be a story behind that as well and I, for one, really want to hear it. Also, who doesn’t want to play with new tek? Once you embrace the story of ARK, it is much easier to embrace the whole tek side of it. And this finale looks to justify that acceptance. While we may not be getting a lot of news about Extinction, we are getting tiny hints and tidbits. 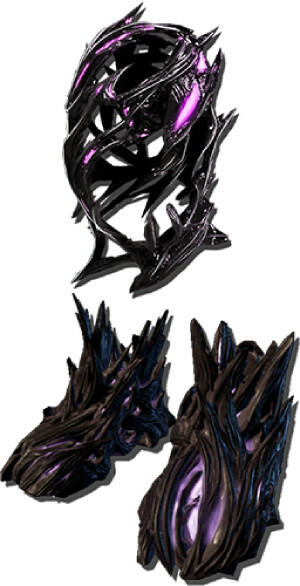 These are coming in the form of content on the current ARKs called Extinction Chronicles. These monthly content drops have and will continue to add Extinction-related explorer notes for players to find (which once collected will unlock Extinction-themed skins), new gear, and even new tek dinos out in the wild for hunting and taming. A new chronicle will release each month leading up to the launch of Extinction, currently slated for November 6th, 2018. What have the Chronicles introduced so far? The first launched mid-June, bringing with it the tek t-rex (which you can see on our Ascension Cave raid stream on OPTV) and the corrupted helm. In mid-July the second one launched, releasing tek stegos into the wild and adding corrupted boots. Extinction Chronicles III is scheduled to drop onto servers on all platforms on August 14th, but there is no hint yet as to which tek dino or skins will be included. While I am excited for this next step in ARK-olution and the neat things ahead, it does still come with a prick of disappoint — a reminder of how many thing have not been fixed in the previous iterations of the game. Remember back to that it’s better to build a new ARK than fix the old one sentiment WildCard expressed? That bothered me — and many others — because the sentiment feels like just writing off the older ones, and the original especially, when that is what so many of us bought into. And there are still issues from way back near the beginning that have not been addressed or resolved. There are (relatively) newer things the community is still waiting on, such as the S+ building mod integration. I understand learning and being able to do better as you go; that’s actually what you want to see. But we don’t want to see the original game tossed aside, either — especially since you have to have it in order to move through to the other expansions that play better! I do hope Extinction is the recipient of a lion’s share of that learning Studio WildCard has talked about. I hope that this expansion shows off all the advances that the studio said it could use to build a better game. I hope this is the better game it was talking about. And then, when it is all done, I hope devs will turn more attention back to the older titles. I still really want that S+! And if players have to buy the original before getting to play the newer versions, it makes sense that the first game be as enticing as possible so they don’t give up and leave. ARK is definitely good, I hope it doesn’t get lost and forgotten in the shadows of its younger iterations. It deserves a revisit. –Better performan…never mind, I’ve given up on seeing that one. I fear Atlas will get any love WC has to give once Extinction is out. ARK in all its beauty and wonder is in the hands of the modders now. Seriously doubt they will work on it again.